The truth is, influencer marketing is still baffling for many digital marketers. Many questions still circulate around the best strategy for implementation and execution. With more and more brands incorporating influencer marketing programs into their overall marketing strategy, the need to stand out among the competition is growing, and fast. In the recent influencer marketing study we conducted with Altimeter Group and Traackr, we found that 55% of brands plan to invest more in influencer marketing in the future. However, only 45 of marketers believe that their influencer program is integrated. So, what’s the point of investing in influencer marketing programs if you don’t know where it fits into your overall marketing mix? 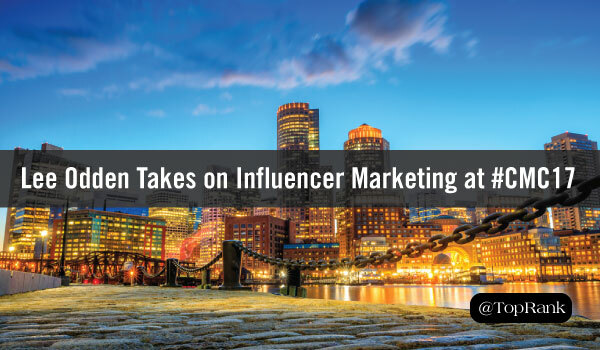 In just a few days, TopRank Marketing CEO, Lee Odden will be at the Content Marketing Conference (#CMC17) in Boston, to inspire marketers on how to incorporate influencer marketing strategies to better attract, engage, and convert their readers through the power of credibility. 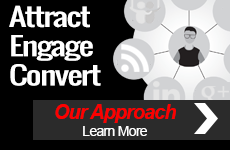 Developing relationships with internal and industry experts with active networks, to co-create content that helps drive measurable business goals. Session Description: Content without credibility is a worthless investment, that’s for sure. The challenge is how to create the credibility. It seems that creating more content is what most companies are doing these days, hoping to find the unicorns organically which they then amplify with marketing spend. But that really just adds more content to the mix, further clogging the spokes. What marketers need to do is break down the barriers with content discovery, engagement, and effectiveness by integrating internal and external influencers. 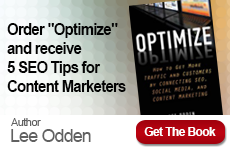 In this presentation you’ll learn how to find the content gold mines that come from collaboration with influencers who attract and engage readers in droves and keep them coming back for more. Want to Join Lee in Boston? We’d love to connect! Register here for this amazing event. Unable to make it to #CMC17? We’re sorry to have missed you. However, keep track of conference happenings by following the hashtag #CMC17. 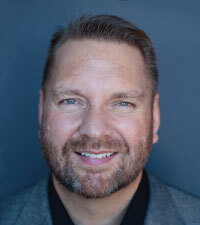 You can also follow @leeodden for live tweets right from the event.